So my 9 year old lad had decided to sleep rough for the night in aid of Den Day, a 'save the children' initiative aimed at raising awareness for children in the world who don't have a safe place to sleep at night. The idea is to sleep in a home-made den in the garden or perhaps on the bedroom floor if the weather is poor. We thought we could do better though. 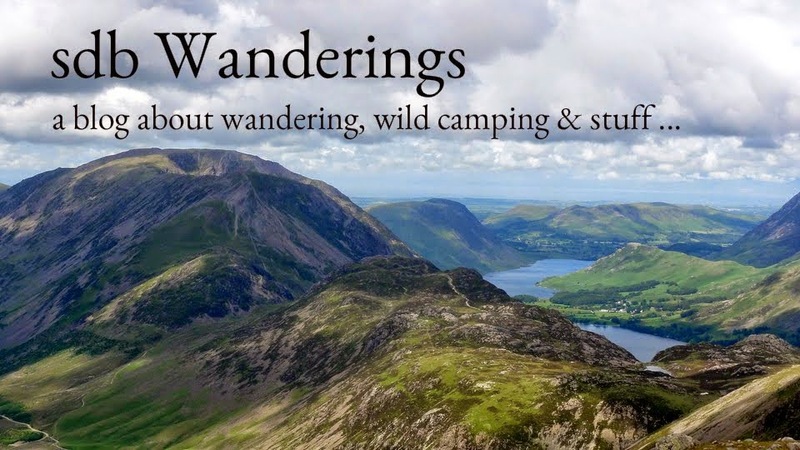 I had planned to take Noah wild camping this year anyway and this seemed like a great opportunity to combine the two ventures. 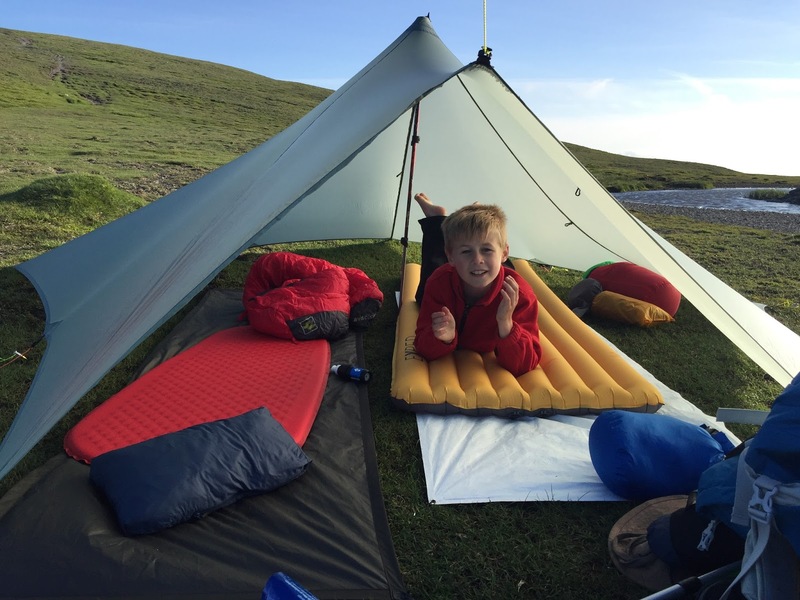 Admittedly, I had imagined a slightly less challenging project for his first wild camp but we decided to be ambitious and aim to build the highest den in the UK for national den day. 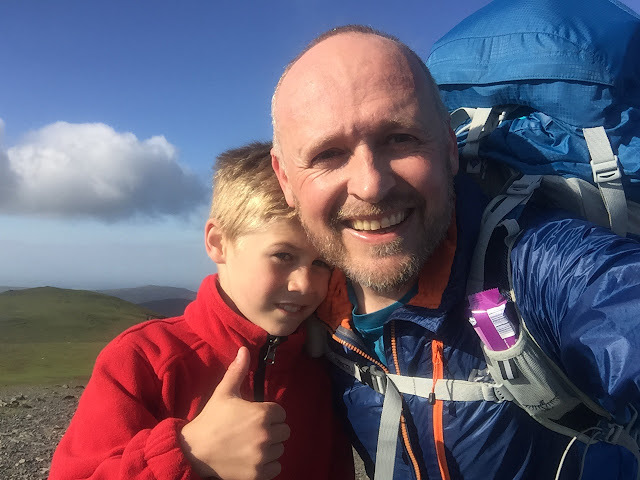 Blencathra, at 2848 feet, seemed like a good choice as it is a superb mountain with amazing views and importantly, plenty of flat grassy areas on the summit for camping. Thankfully the weather forecast was favourable over the national den day weekend so we left for Blencathra in a buoyant mood. We set off from Scales at 3:30pm along the bracken lined path rising up onto Scales Fell. I had given Noah a trekking pole, a full rucksack and a packet of jelly babies so he looked like a real wild camper. The first part of the hike is quite steep so we had plenty of short rests. When the path eventually emerges onto the main ridge of Scales Fell it flattens out and the view opens up on all sides. The final push to the summit was a bit of a struggle for the boy as his rucksack was proving to be uncomfortable. Between us we carried it carrier bag style to the top. We got to the summit at 6:30pm. Visibility was excellent. It was cold and a bit breezy but we had great views in all directions. It was now time to find a place to make camp (or rather, build our den). 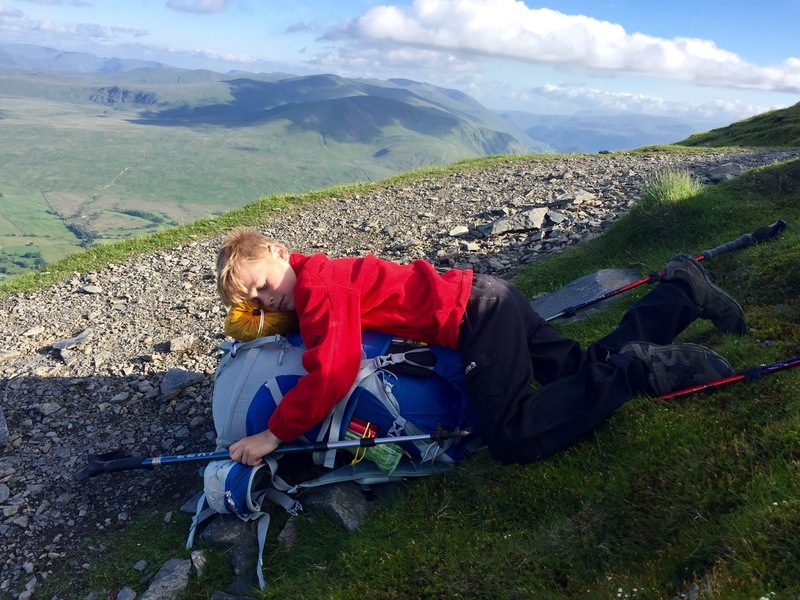 There is no shortage of flat grassy areas on Blencathra summit and so I let Noah choose a suitable spot. He thought we should make our den right by the little tarn in the middle of the summit plateau. That was fine by me as it was an ideal water source. He set about exploring the tarn while I set the tarp up. He then helped with some final den adjustments, such as the important job of attaching the official den day flag. In next to no time we were unpacked, wrapped up in sleeping bags, had the stove lit and tea on the go. I'd brought a small selection of foods for our evening meal. Noah chose super-noodles from the menu and I had meatballs and pasta. The phone provided our entertainment for the evening. We played pool and hangman and then watched Mrs Doubtfire together. He was asleep before it finished. It was a cold night (6 degrees C) but thankfully the wind died down. We both slept with woolly hats on. The strangest part of the night was being woken up at around 2am by the sound of voices outside. I poked my head out of the 'door' to see about 20 head torches making their way towards us. A strange conversation then followed - started by "Hey look, a tent! - Is it cosy in there? ", to which I replied "Yes thanks, are you fell running?". "Yes" someone answered "We're on the Bob Grahame round". "Ah OK" I replied "Enjoy yourselves!". "You too" they said, and off they went. I had forgotten that this was the closest weekend to the longest day and so was a popular time to tackle this famous 24 hour Lakeland challenge. We woke up to a cold and claggy morning. I left Noah watching the end of Mrs Doubtfire in his sleeping bag while I packed everything up. I then got him up and dressed and told him to keep moving around so as to stay warm. I then quickly packed up his mat and bag and then the shelter. A few minutes later the rucksack was packed and we were ready to go. Right, where was Noah? I couldn't see him. Panic set in. Visibility was about 100 feet and I knew that there was a steep drop down to Scales Tarn about 300 feet to the east. "Noah!" I shouted .... No reply. "Noaahhh!" ... still no reply. "NOOAAH!" ..... "What?" says a calm but perplexed 9 year old emerging from the mist. "Are you OK dad?" ..... Bleedin kids!! After a short lecture on the dangers of wandering out of sight in these conditions, we picked our way carefully down the steep path towards Scales Tarn. It wasn't long before we got below the cloud base. We soon warmed up once below the cloud. The sun even came out. Overall our little adventure was a roaring success. Noah raised over £500 for save the children and had a great time doing so. 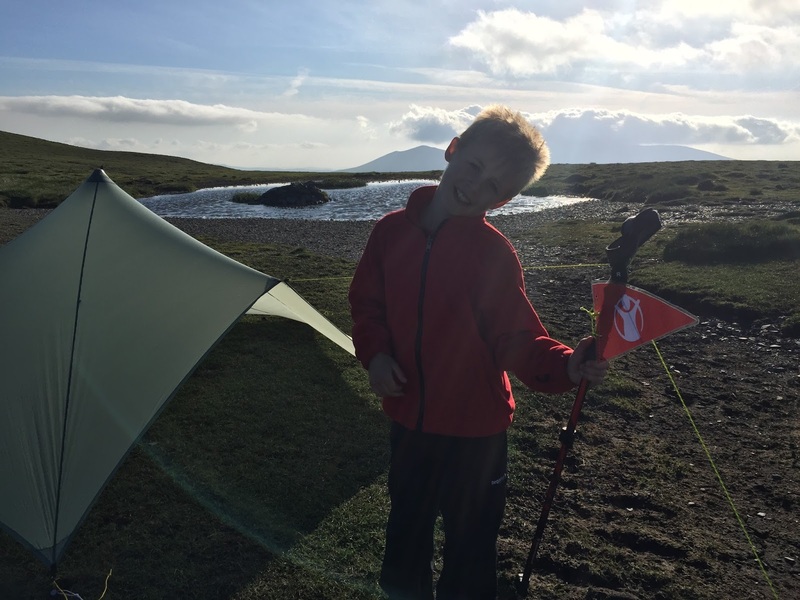 It was a tough challenge for him but he really enjoyed the experience and is keen to go wild camping again with his old man. Result!